Areca FAQ System - Q60011802 - macOS 10.13 High Sierra Security requires a user’s approval before loading third-party kernel extensions. Q60011802 - macOS 10.13 High Sierra Security requires a user’s approval before loading third-party kernel extensions. 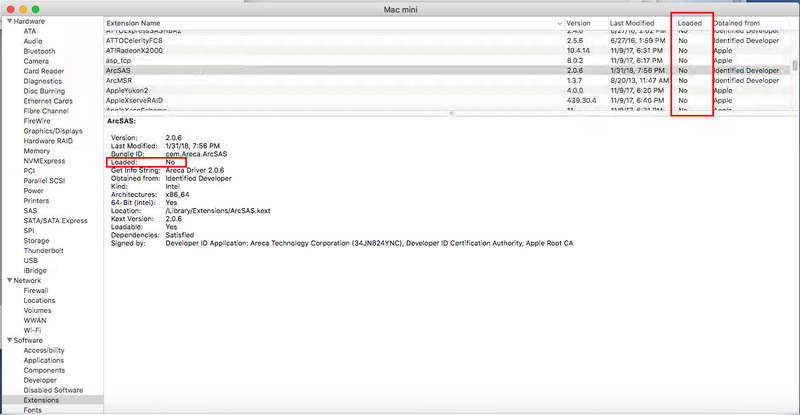 Apple introduces a new security mechanism in macOS High Sierra 10.13 that requires a user’s approval before loading third-party kernel extensions (kexts). 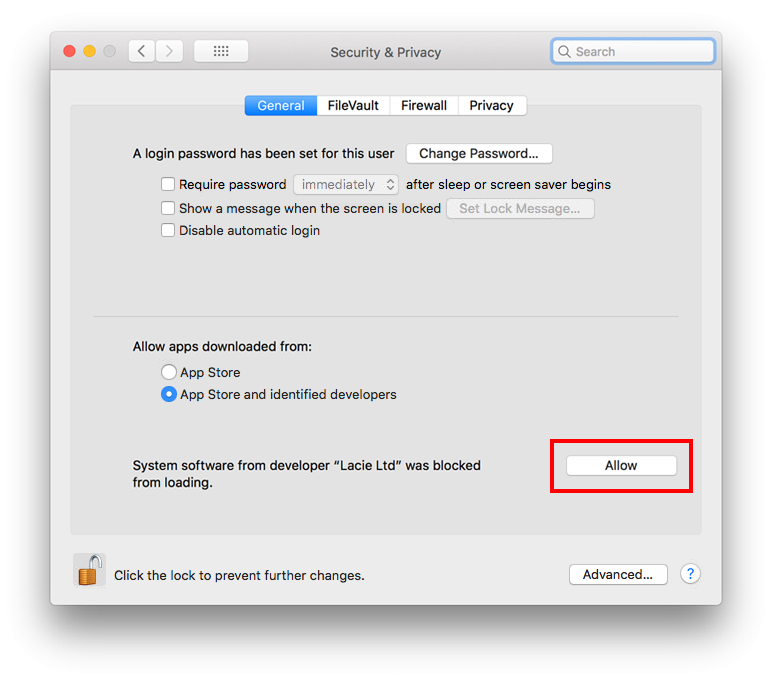 If driver or utility cannot operate successfully on macOS 10.13 High Sierra (or you receive an alert message “System Extension Blocked”), please proceed to Security & Privacy to enable the kernel extension in order to complete the installation. 5. Click on Restart to restart computer. Q60031903 - How to disable Windows 10's 'USB selective suspend' setting? Q60041903 - Can ARC-8050U3-6 support multiple volumes? Q60011903 - When ARC-8050U3-6 USB-C raid enclosure plugged into the super micro mother board it is not allowing the M/B to boot. Q60021903 - The ARC-8050U3-6 is powering down after certain time during foreground initialization even if HP spectre 360 is on and working.